The Phoenix Film Festival is upon us once again! Included in that is the International Horror and Sci-Fi Film Festival. One of the films we are looking forward to is All The Creatures Were Stirring. Not only is it holiday themed horror, which we love, but it is also directed by our friend Rebekah McKendry and her husband David. 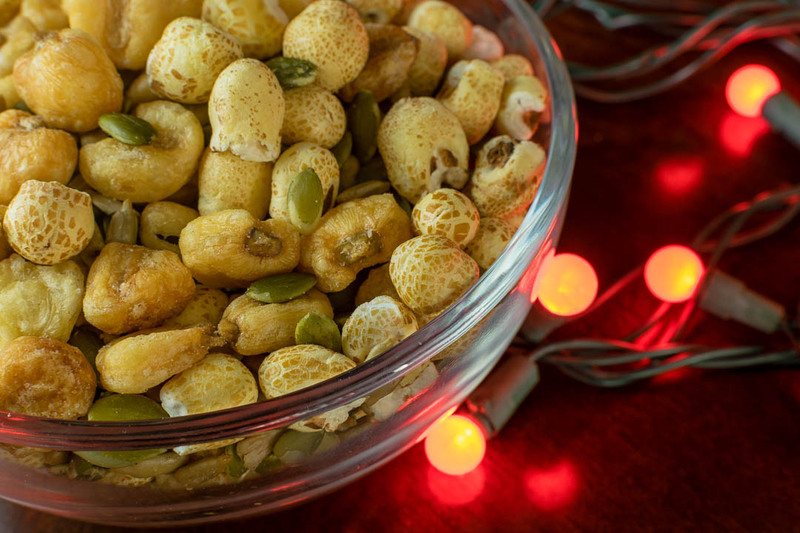 We’ve created a new recipe for their film, Allergy Free Nut Mix! Both Rebekah and her daughter have life threatening food allergies. We wanted to help bring awareness to this by creating a recipe that was completely nut and dairy free. We even took it a step further and switched out the pretzels with puffed corn so that it would be gluten free as well. When looking to recreate this recipe be sure to check the packaging for cross contamination warnings. The ingredients we used and listed below do not list that they were manufactured in a location that processes nuts or milk. 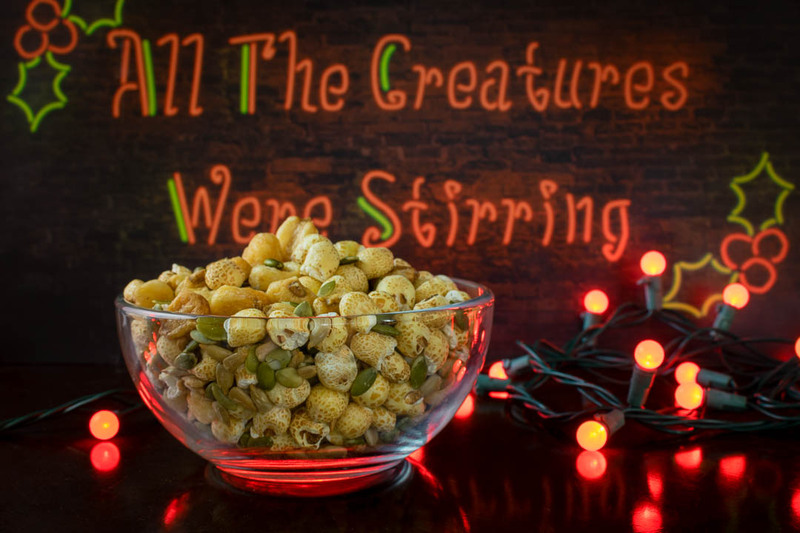 Want to see All The Creatures Were Stirring? We are giving away a pair of Flex Passes to the Phoenix Film Festival. This means you and a friend can select 4 films at the festival. The winners will be chosen on Wednesday April 4th. The Festival will be held April 5th through April 15th. Good Luck! *The Geeks received no compensation to facilitate this write-up; opinions are wholly our own. Flex Passes provided by Allied Marketing. View our Disclosure Policy for more info.